Residential Elevators is the leading provider of Home Elevator Sales, Installation and Service in New Jersey. Experience unmatched quality when it comes to our Home Elevators in New Jersey. Why settle for less when you can buy direct from the best! Since 1996, we have established a reputation as the best in-home elevator sales, installation and service provider. With Residential Elevators, experience customer service that excels above all competition in the industry. 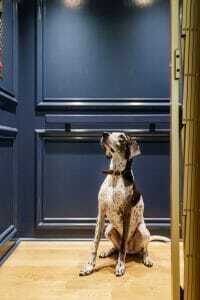 We guarantee exceptional and luxurious in-home elevators. Our Home Elevator Services in New Jersey simplify and perfect the entire process. That is what separates us from the competition. Since 1996, Residential Elevators has been the leading provider of in-home elevators in New Jersey. We provide a team of experts that are the most skilled manufacturer representatives, elevator cab builders, installation and service technicians that New Jersey has to offer. Residential Elevators ensures the highest level of safety and quality for your New Jersey In-Home Elevator Installation. Residential Elevators provides all the proper elevator products and services that you will need. We are a team of skilled individuals capable of designing and creating one-of-a-kind elevators in New Jersey. Customize the elevator you want to be installed into your home in New Jersey. Our expert elevator manufacturers representatives will guide you through the design process to build the elevator of your dreams. We dedicate ample time to planning the design, installation, and service for your in-home elevator. Our Luxury Residential Elevators in New are the highest level of quality perfect for your home. Our maintenance plans are tailored to fit the needs of your residential elevator. Yearly maintenance in one of the most crucial elements needed to ensure your elevator remains safe and functional. Safety is our top priority at Residential Elevators. Every elevator we install comes standard with a whole-system safety circuit. This ensures that if any safety feature fails to work, the elevator will not work. We also install a back-up battery system in case of a power loss.  When it comes to in-home elevator service and installation, trust the most skilled elevator technicians in New Jersey. An In-Home Elevator is perfect for convenience since it can be tailored to fit the needs of the elderly or handicapped. We install safe accessibility and function with each In-Home Elevator we provide. From being wheelchair accessible to modifications for handicapped and elderly individuals. Our in-home elevators are also made to reduce risk and injury while increasing mobility within your home. That is what makes us the leading provider of the Safest In-Home Elevator in New Jersey. At Residential Elevators, our in-home elevators provide functionality, luxury, design, and safety for your home. Ready to experience to safest and most dependable In-Home Elevator in New Jersey? Schedule A Consultation For Your In-Home Elevator in New Jersey Here.